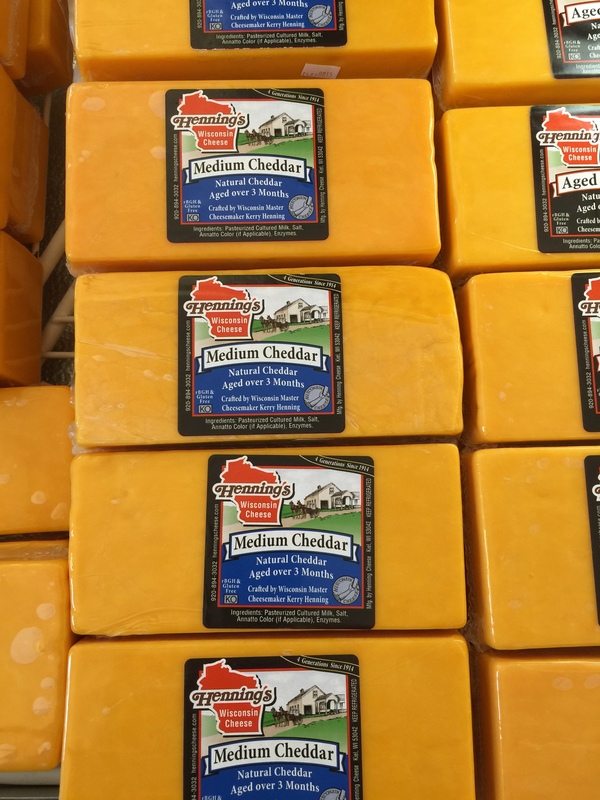 The 2015 United States Championship Cheese Contest was held at the State Fair Grounds in Milwaukee on March 17th-19th . Cheesemakers from around the country competed for “Best of Class” in everything from mild cheddar to butter to drinkable yogurt. We took a day trip to these three isolated cheese factories to investigate. 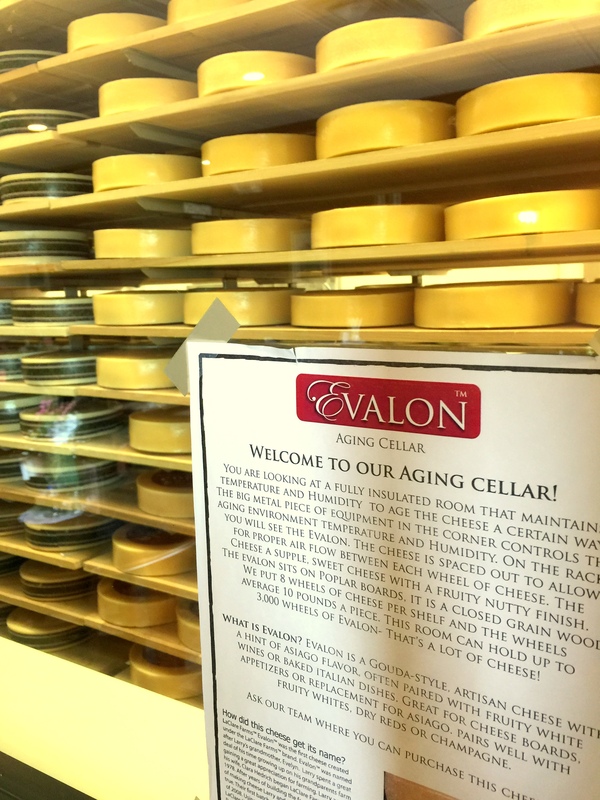 Its a relaxing countryside drive – and when can you say you saw three of the best cheeses in the USA on a short road trip?. Baker’s factory store is open Monday-Friday 9-5pm, Saturday 9-1pm. 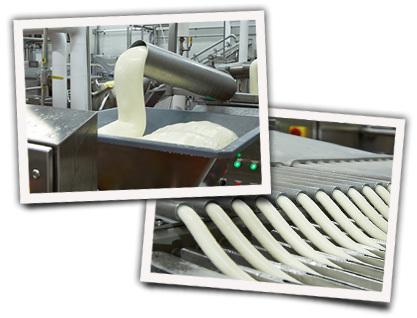 From Baker Cheese, it’s only about a ten mile drive to LaClare Farms. 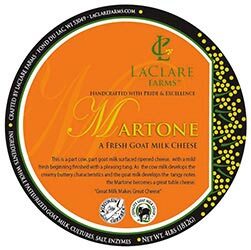 Established in 1978, LaClare Farms took home “Best of Class” for their hard goats milk cheese, Evalon and 3rd place for their Martone, a surface ripened mixed milk cheese. Their specialty is sheep’s and goat’s milk cheese, and if you are there between 4:30 to 6:30, you can watch the goats being milked in the milking station. 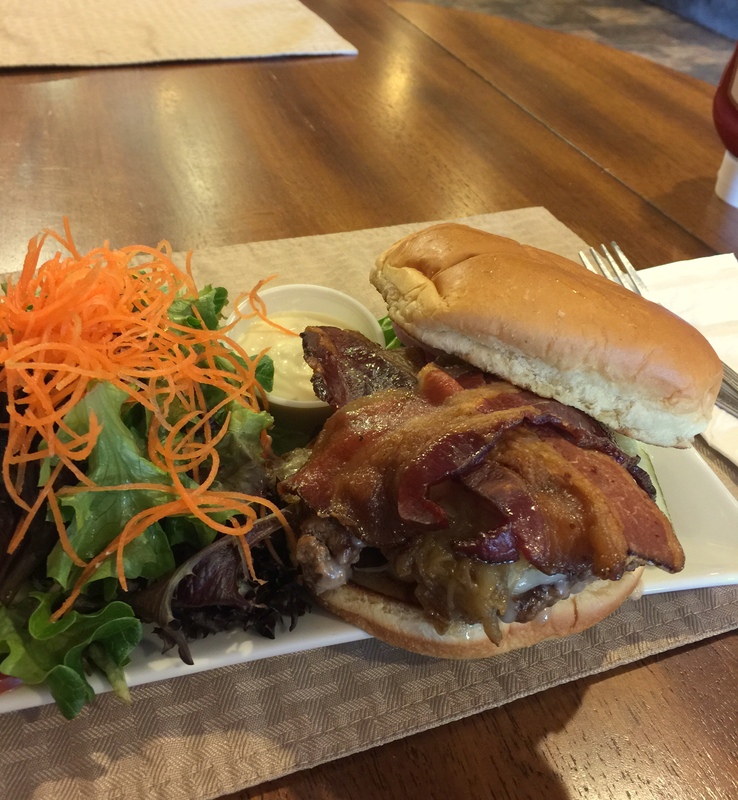 Plan to stop for lunch, as it has a cafe and a chef that is a culinary school grad. I had one of the best burgers in a long time, stuffed with LaClare’s cheese. The cafe’ menu, which includes a kid’s menu, is here. A flyer also advertised many different “craft beer nights” throughout the year featuring different breweries. Don’t leave without getting a hand-dipped ice cream cone. Many of the ice creams are made with goat’s or sheep’s milk. We sampled a fig flavor, and it was unusually delicious. 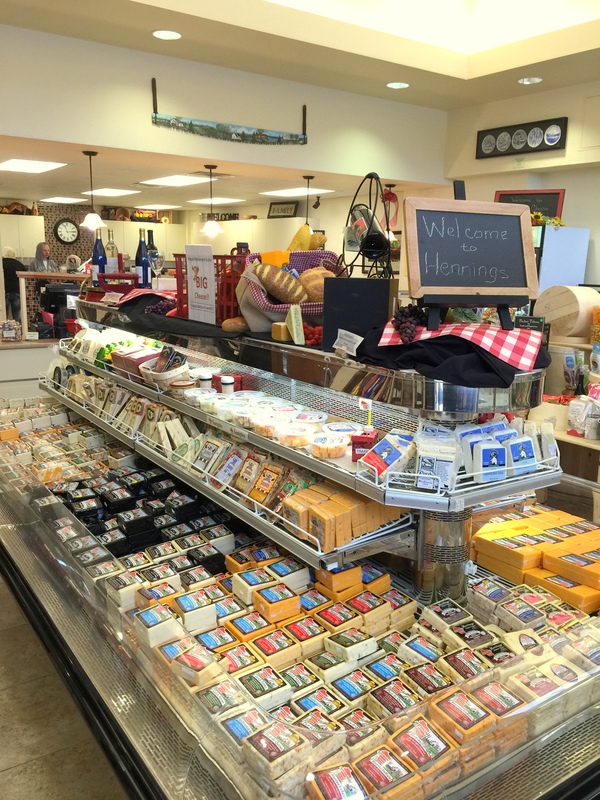 From LaClare Farms, Henning’s cheese is an easy 17 miles down a country road. 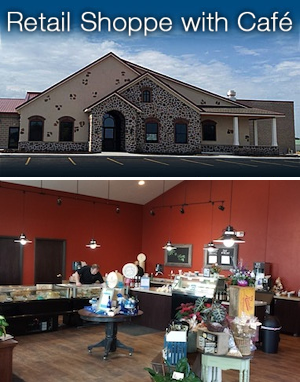 This fourth generation family-owned cheese factory started in 1914. 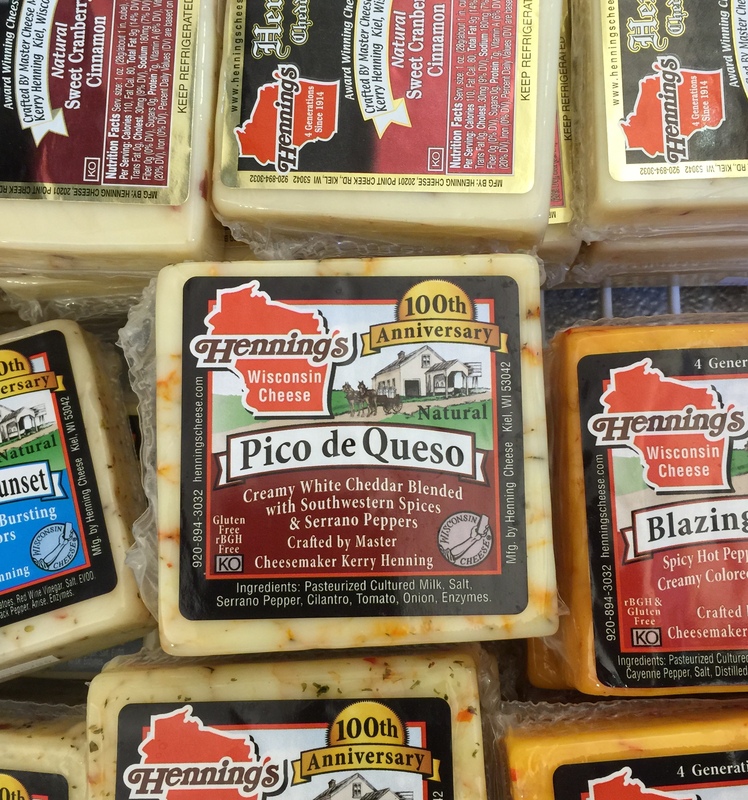 Henning’s was awarded “Best of Class” for their bandaged cheddar which makes it the best medium cheddar made in the USA. Also the Pico de Queso Cheese was named one of the best cheeses in the USA. Click here for full results. 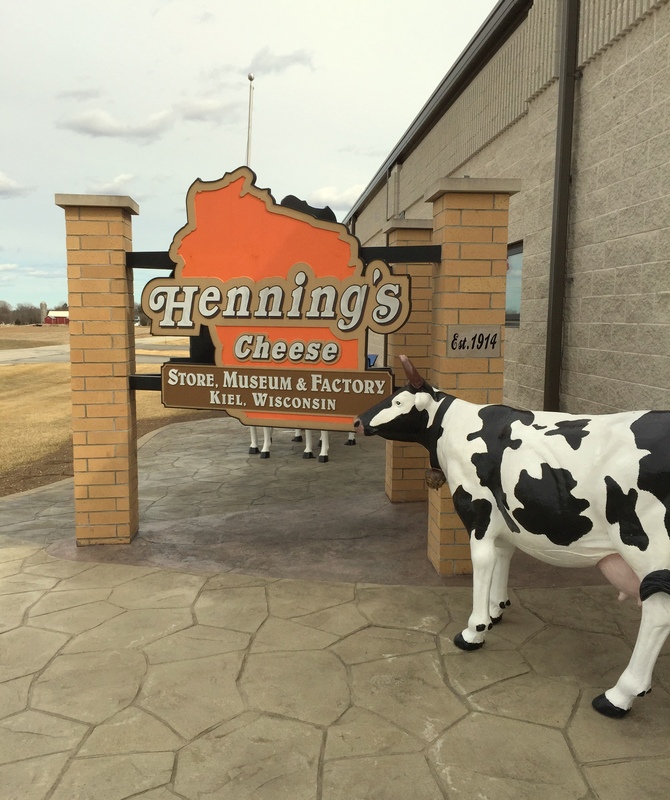 Henning’s factory store and cheese museum is open Monday-Friday 7-4pm and Saturday 8-noon. 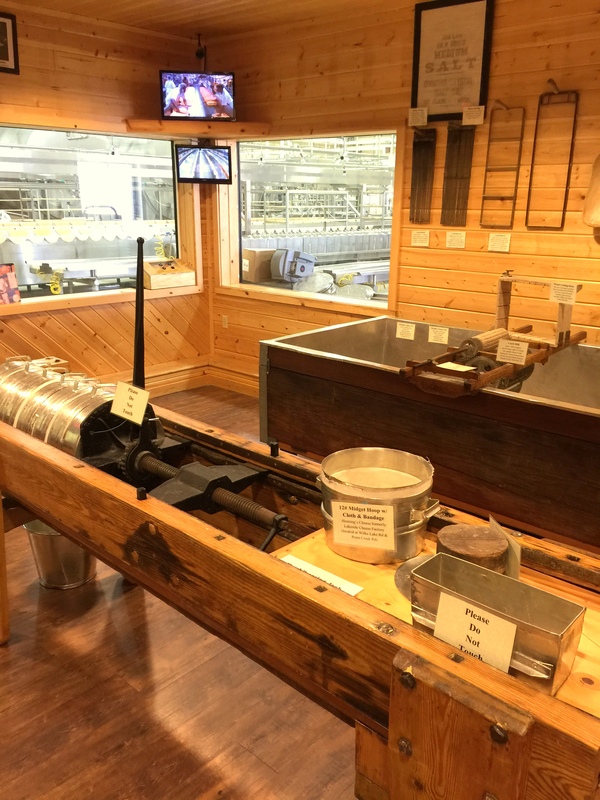 In addition Henning’s has a couple of viewing windows where you can watch the cheese being made. If you missed ice cream at LaClare, you can grab a Cedar Valley Ice Cream cone at Henning’s. From Henning’s Cheese in Kiel, its an easy hour and fifteen minute drive back to the Milwaukee area. Close enough that you can make this trip without a cooler. Don’t forget the fresh cheese curds! ← Take Three Tuesday: The Best Bloody Mary in Racine/Kenosha is….